St. Simons Island is a beautiful place to explore on the Georgia coast. I recently stayed at the King and Prince Resort and was able to experience the area in new ways that I hadn't before. Here are some of my favorite activities to do around the island. Historical Tour – Want to know the best way to experience a new area with a lot of history? 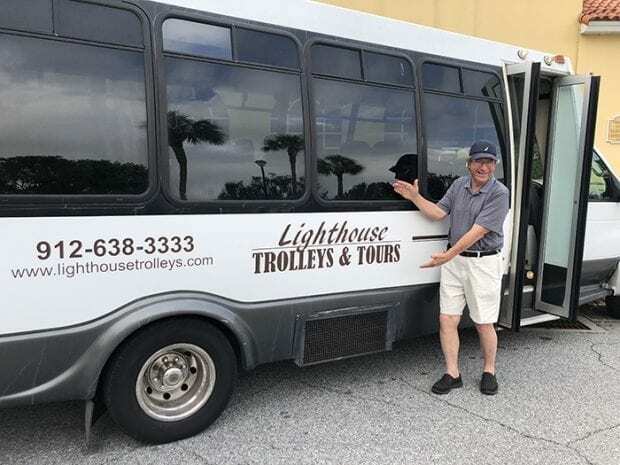 Taking a tour with a local/ Lighthouse Trolleys and Tours is a great tour company that brings you all over the island and even to places that other tour companies can't go. The tour is operated by local natives, the Fendig family. You'll get to visit places like Christ Church, Ft. Frederica, Harrington School House, and the 1859 First African Baptist Church. Boat tour – You can't visit an island without hopping on a boat at some point! Lighthouse Trolleys and Tours now offers boat rides as well. 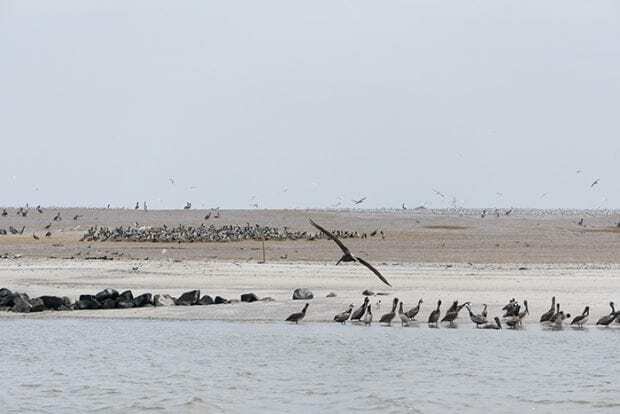 We went on a dolphin cruise and got a great close up look at Bird Island, a humanmade island that is now a haven for birds to nest. 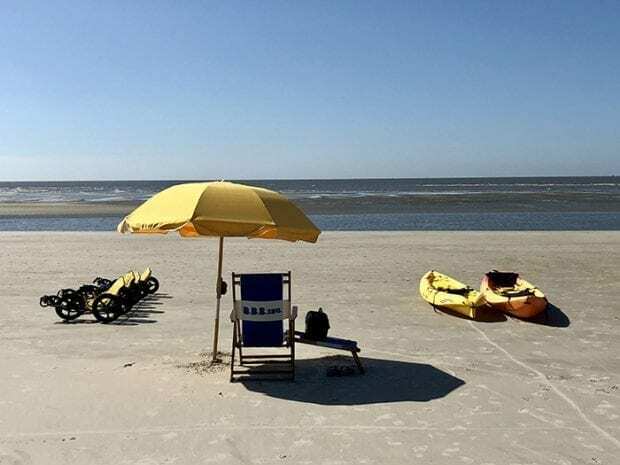 Beach Rentals – When you're ready to hit the beach, you can do more than just sitting on a towel. Barry's Beach Service located inside Ocean Motion rents kayaks, beach chairs, umbrellas, bikes, and stand up paddleboards. 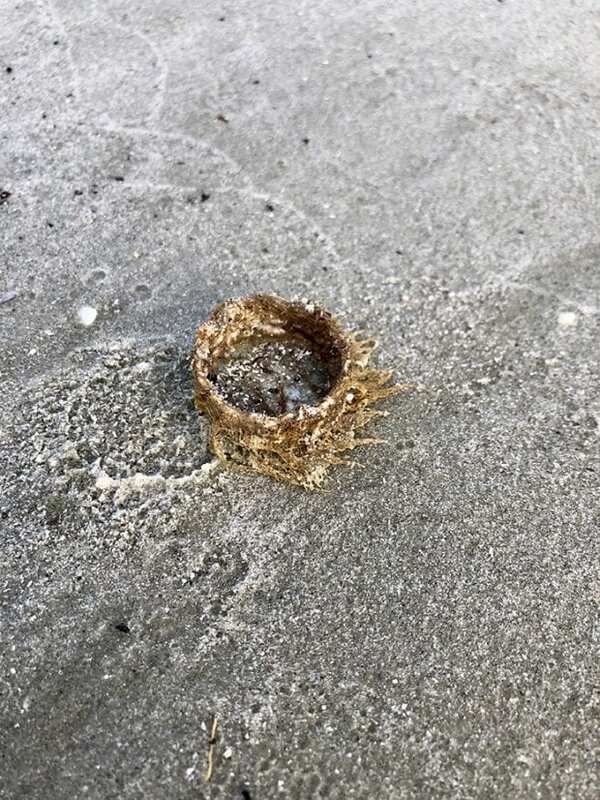 Beachcombing – Every six hours the tide changes and when it is low tide you can find some really cool sea life that has gotten stranded on the beach. While I was beachcombing, I found some great shells, driftwood, and squishy things that made me stop and take a closer look. Shopping – While I didn't get to go shopping while I was in the area, I did have a few people mention to me that I had to check out the Pier Village and Redfern Village for its food and shopping. 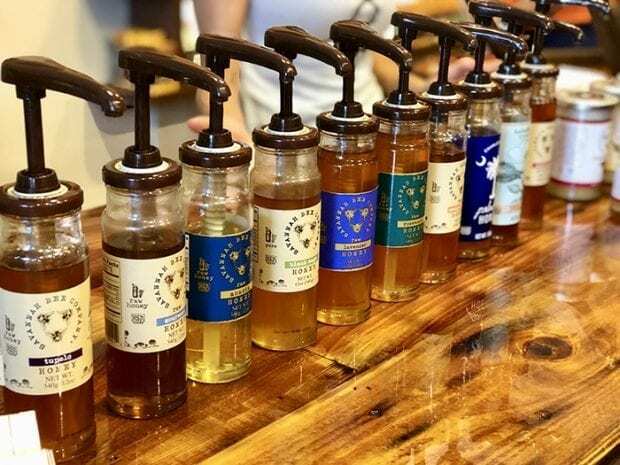 We stopped into Savannah Bee for a honey and mead tasting that was delicious. I love all the great little shops and can't wait to return one day soon to check them all out. Food Tour – Eat like a local and check out all the great restaurants that St. Simons has to offer. You must check out ECHO at the King and Prince; you can't beat the ocean front view. 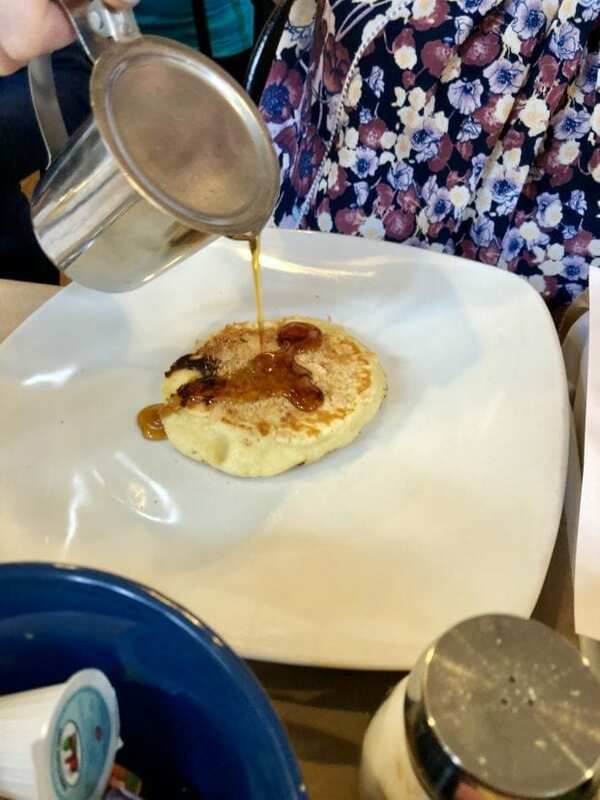 Visit Palmer's Cafe to try the Buddy's Banana Pudding Pancakes. The fresh pork rinds and cole slaw at Gnat's Landing are delish! Golfing – There are more than 200 scenic holes around St. Simons Island. They are known for their beautiful and challenging golf courses. People come from all over to play. 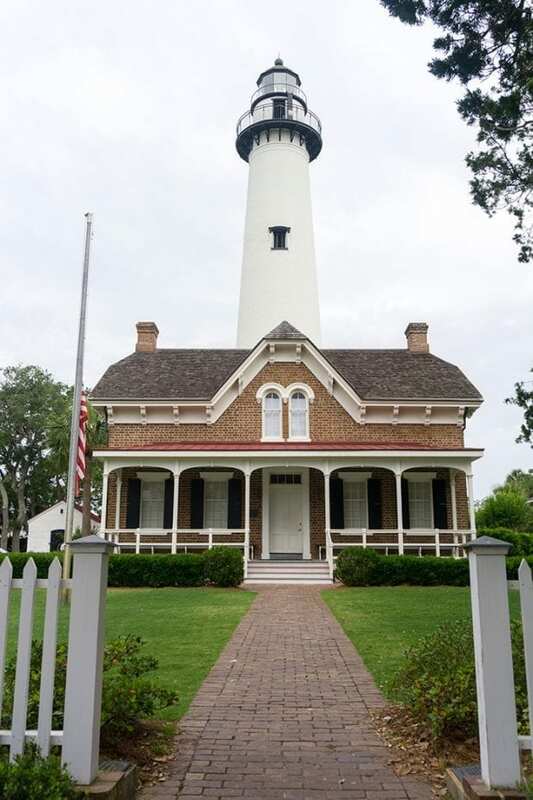 Climb the Lighthouse – Get ready to climb 129 steps to the top of the St. Simons Island Lighthouse. The view is well worth the climb. Make sure to spend some time in the museum to see the rich history. Neptune Park – This park is a located right next to the lighthouse and has so many fun things to do with your family. There is a playground, mini golf, pool, and splash pad. Fishing – Whether you're looking to simply wet a line from the St. Simons Pier or take a boat out to do some deep sea fishing. There is plenty of fish in the sea! 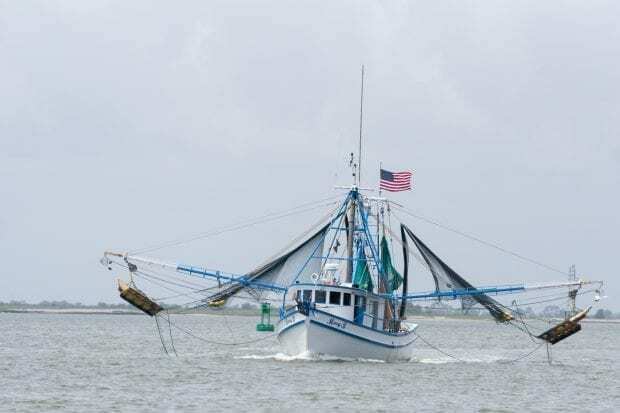 I personally just like watching all the great shrimp boats. Stay Active – When I go on vacation, I have moments of just wanting to go go go instead of relaxing by the water. 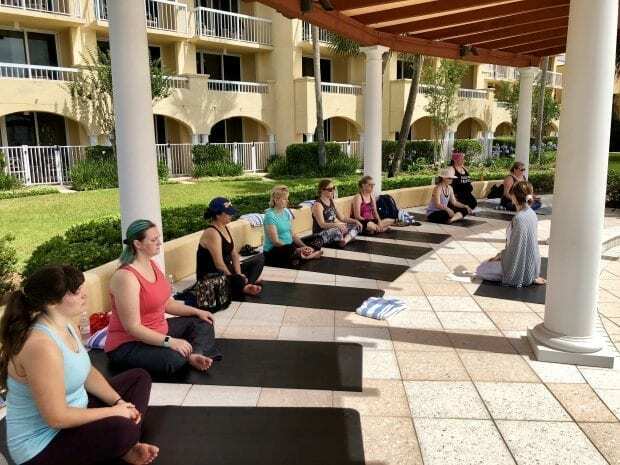 Great ways to stay active on vacation include taking a yoga class, renting a bike to explore the island or kayaking in the sound. 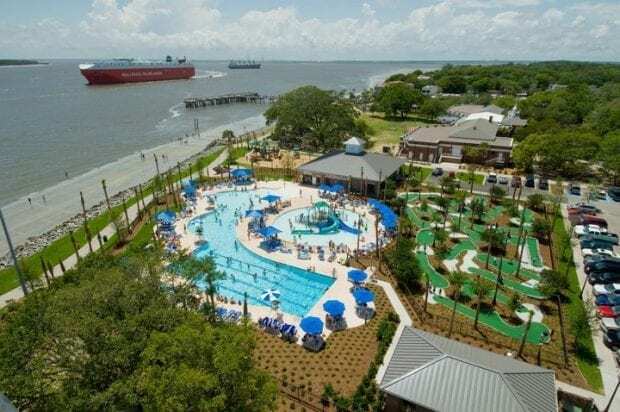 There is so much to enjoy at St. Simons Island! Which would be your favorite? I’m heading to St. Simon’s in July with my 10 year old and we can’t wait to go back. 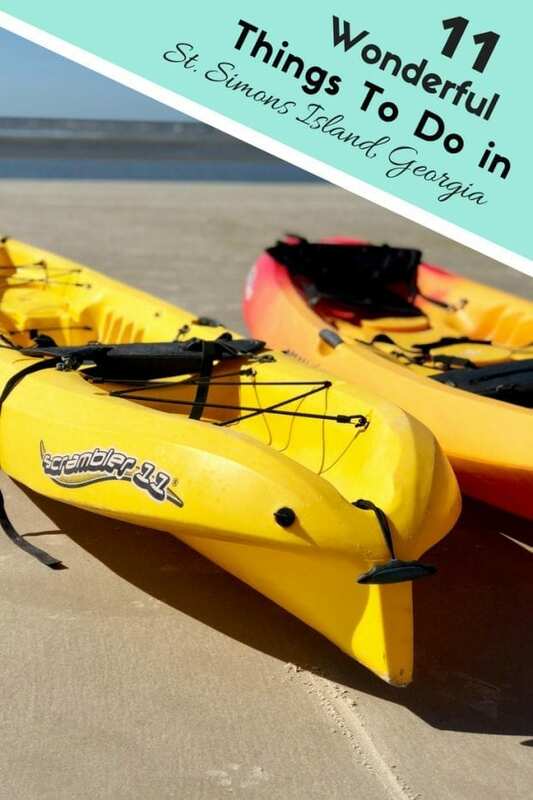 We’ll definitely climb the lighthouse and do a kayak tour.